We really appreciate Carolina Alvarez of Hart to Hart Realty. We choose her because she spoke Spanish and it helped so much in the process to buy a house. Carolina scheduled meetings at our convenience and sometimes on weekends. She was easy to talk to and listened to my husbands questions and returned his call. She helped us at the closing by explaining the process. Carolina is a good person and did a great job for us. My husband and I are investors from the Chicago area and we are looking to purchase a home for our son to rent in Florida. Susie Burke was extremely helpful in this venture. While my husband came down for a weekend to look at some properties, she was more than willing to fill the entire weekend with homes for him to view. She had also shown our son several properties in our absence and between her expertise, her willingness to help and always availing herself via text, phone or e-mail, I am happy to say we have closed on our new townhome. During this process Susie was out of town for a short period of time and she put us in touch with Jeanine Bert in her absence and she was also very professional and helpful. Hart to Hart is a great firm to work with and their employees put great time and effort into helping clients realize their goal of home ownership. "Vickie is an excellent agent. She is professional, knowledgeable and enthusiastic about making sure her client is totally satisfied. She guided me through a purchase of my current home and the sale of my previous home. She provided her expertise in the process of both and highlighted and areas of potential issues. She was able to execute a contract on the sale of my former residence within two days of listing. We got top dollar on our sale. If you are looking for a realtor that truly cares for her clients Vickie is the one." I recently worked with Kalli Kamholz-Ecker to purchase a townhome in Oceanside Village and couldn’t be more pleased. She was so wonderful to work with – attentive, responsive, incredibly fast – I am just so impressed with her performance. I’ve never worked with a better Realtor. I actually purchased this property without ever having seen it, as I am relocating from Wisconsin and I could only do this because of the trust Kalli instilled in me in her abilities and judgment. I just wanted to give her the credit she deserves! We have used Eileen Smith three times in the past 12 years to either buy or sell a home. In every instance, she was very diligent and results oriented. Eileen is very knowledgeable, professional and honest. She is available anytime you need her. We would highly recommend Eileen to anyone in the home market. She is a real pleasure to deal with. It is my pleasure to say that Eileen Smith of Hart to Hart Real Estate is the most professional, effective, and enjoyable real estate agent I have ever dealt with in my 40 years of home purchases that I hope has ended at 10. Eileen was great from our first meeting, listening to my wants and desires and when we started looking for homes I was able to find the home I wanted the first day. Eileen had carefully set up 6 homes to see that day and the last one was the winner! Her most important service started with her giving me the advice on the negotiating that resulted in my offer being accepted and a deal reached. She continued her professional services through the closing and on. She help me find an insurance agent to work with on home insurance and even continues to this day, months after the sale was final, being the person I can call when I need help or have questions on my home or real estate in general. We have just concluded the sale of our Florida Condo with your company. It has been such a delight and privilege to work with your agent Eileen Smith. It would be impossible to imagine a more professional or flawless experience. Every detail was handled with quality and expedited quickly. We just couldn’t be more pleased. Thank you. Thanks again for working your magic. What would we do without you? Please pass the following onto the owners of Hart to Hart with my gratitude for being there for us always! My husband and I sold our old home and bought a new home through Hart to Hart Real Estate. The agent (Susie Burke) was professional, courteous, experienced, and easy to work with. She offered knowledge-based advice, when we asked for it, and never let us down during any time. Susie tied in with us all through the entire process. After enjoying great success with both transactions, we naturally chose Hart to Hart, and Susie, when it came time for our daughter to buy her new home. Again-a wonderful experience! Recently we found ourselves in a position to sell my parent's home, and of course, we went back to Susie and Hart to Hart Real Estate. After four happy endings of buying and selling real estate we can only give praise to Hart to Hart and as far as we are concerned their star agent, Susie Burke. The last home sale took all of two weeks! Our friends are amazed at how we have consistently enjoyed the experience of buying and selling our properties and have done so in a very timely manner in each instance. We believe that Hart to Hart sets the standard in customer service when it comes to real estate. We've heard home buying or selling can be a nightmare but Susie Burke and Hart to Hart have made our dreams come true. 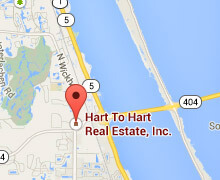 Thank you Hart to Hart for being part of Suntree and Brevard County-you are a true asset! I would like to commend your agent, Eileen Smith. We traveled to Melbourne last week on a house-hunting trip and left with a signed contract. Eileen listened to our criteria, provided us with quality information prior to our arrival and worked closely with us while were there. She was professional, knowledgeable and pleasant, and helped us find what we consider to be the ideal home for our needs. Given the opportunity, we will certainly recommend her to our friends. We were first introduced to, and have had the pleasure of being represented by Carolina Alvarez in the process of buying one home and later selling another. In addition to being a very thorough, trustworthy, responsive and professional agent though all aspects of these transactions, Carolina was more notably very honest, personable, and demonstrated a high degree of calmness and experience in dealing with any complexities that arose. We have since become good friends with Carolina and her family, and hope to be fortunate enough to have Carolina represent us in our next and all future real estate pursuits. Dear Eileen, Thank you so much for your assistance in the purchase of our home in Suntree. It is the perfect property for us to retire. Uncle Eddie has moved in and is enjoying his new home. We appreciated your guidance and professionalism every step of the way. Although our work schedule had us traveling, you managed things and kept us on track! Due to your expertise, this was of the most enjoyable real estate transaction we have dealt with. In less than 30 days you had us signed, sealed and delivered. Thanks again. We wish you a healthy and prosperous new year. God Bless! Just a short note to say thank you to Carly Romanelli. The purchase of our new home went so smooth thanks to Carly. She didn't pressure us. She knew her product. She was so helpful. We are so blessed to have found her. Between travel and shopping for a home out of State this letter has been on our to do list for some time. Please allow any potential customer shopping for a home or business location in your area read this should they seem unsure of the choice to select your services. I have been in business for the past 20 years self employed with numerous employees. Since business directed me to central Florida recently I had to make a fast move on very limited time for shopping. Most research was done on the internet and the difficult task of selecting an agent was next. Making numerous calls and emails and reading customer referrals is always a plus. Hart to Hart real estate and staff was an answer to a pray during such a stressful time. The professionalism Jason & Vickie Hart held to assist and wait on us goes beyond words. They devoted every minute to fit our schedule even traveling with small children. As a business owner customer service is something seriously missing in this country and something I stress upon to my own staff. With this couple its all about customer service and the customers needs. Should you have any hesitation on your selection of an agent in the Melbourne area please feel free to contact me at any time, there is not enough paper or time to express our heart felt feelings for what they have done for us. Dear Hart To Hart, We would like to take this opportunity to tell you about our experience with Eileen Smith. We were fortunate to meet Eileen at your office a while back when we started to search for a home in this area in which to retire. Her friendly personality immediately made us feel at ease and comfortable with her. We told her what our criteria was and agreed to meet the next day. She was well prepared at that time, and every time we met with her after that, to look at homes. We are from New Jersey and it took over two years and several trips and she was prepared and patient, and professional, each time. We actually looked forward to meeting with her each time we came down here. In between visits Eileen kept us up to date on the housing market down here with updates and information both via e-mail and phone calls. She understood our needs and the homes she showed us met those needs perfectly, she encouraged us to be patient, and said when we found the right house we would know it as soon as we walked in...which is exactly what happened. She is responsible for us coming down to meet with her when our "dream house" came on the market...without her commitment to us and her dedication and professionalism we surely would have missed the opportunity to purchase this home! During the negotiations and the closing process Eileen was there for us. Her knowledge and expertise in dealing with the seller's and their agent and throughout the closing process was extremely helpful and above and beyond the 'call of duty'. Today we live in a home that we love that is perfect for us, in a great neighborhood, and we have Eileen Smith to thank for helping us to make that happen. We sincerely believe that her great personality, patience, dedication and unsurpassed expertise in her field are the reasons we are so happy today. Thank you, Eileen ! We were delighted with the service Susie Burke provided us. From our initial contact through closing, she was very responsive and professional. Being an out of state buyer, we needed someone to help us every step of the way and Susie was always there. We would definitely use Susie again and highly recommend her. On October 21st my husband Andrew and I will be closing on the sale of our current home and closing on the purchase of our new home. Once again, all of this is due to the hard work and commitment of Susie Burke. She is truly an outstanding example of professionalism in the field of real estate. Susie sold our last house and helped us move into our current home. She also sold my parents home and helped my daughter purchase her home last year. We like our current home very much, but I work at (KSC) Kennedy Space Center and with the end in sight with my job going away along with approximately 6,000 other dedicated employees. My husbands company downsized last year as well and he had to change jobs ( no new story here). So, while we like our current home we wanted to position ourselves for a more financially comfortable future and retirement. We did not want to leave Suntree, and we are not, thanks to Susie. Through her guidance and knowledge we correctly priced our home for a quick sale and found just what we had in mind for our new home. Dealing with Susie is always fun and safe. You know where you stand and you can count on every minute even when the poor gal goes on vacation! If I find anyone out here at KSC in need of selling or changing their residence due to layoffs, rest assured I will be recommending Susie and Hart to Hart! Once again thank you for being there Susie and of course Hart to Hart Real Estate. You are truly a blessing to our lovely area!!!! Eileen Smith worked as our buyer's agent to locate property as a rental investment. Considering all previous real estate transactions we have been involved with, Eileen by far provided us the best services and results we have ever experienced. Eileen's professionalism and tireless diligence on our behalf greatly exceeded our expectations. She found us the perfect property while remaining mindful of our requirements. Eileen was always available to answer any questions making the entire buying process practically painless and hassle-free. We will always seek Eileen for any future real estate activity. Eileen has our highest recommendations. Dear Kalli, I just wanted to send you a very much deserved “THANK YOU” for all of your hard in selling my house. Your clear, concise and timely communications make the entire process incredibly smooth and stress-free. It’s a rare pleasure to have worked with someone with such high degree of professionalism and thorough knowledge of their field as you. I wish I knew people looking to buy or sell because I can’t sing your praises high enough. Again, thank you, thank you, THANK YOU!! I'm writing to sing the praises of your associate, Eileen Smith. We closed on our home last week. Eileen was such a great help answering all our questions. When she did not have answers, she would find out and get back to us immediately. Its hard to find someone who works as hard as she does and seems to love every minute of it. She certainly made this a pleasant experience. It is with great thanks that we write this letter of recommendation for Susie Burke, of Hart to Hart Realty, to serve as your realtor in the sale or purchase of your home. During the sale of our home, Susie scheduled all meetings and interactions at our convenience, including after work and on weekends. She was easy to talk to, a good listener, east to contact, and always prompt at returning our calls or answering our questions. She provided a beautiful profile and flyer with professional taken photographs and video of our house, for the appraisers and people touring our home. Our home sale was unique in that there was an executive relocation company that acted on our behalf. This presented new challenges for both Susie and our family, imposing tedious contract details and required documentation. Susie was eager, efficient and diligent to meet these demands of the relocation company. She illustrated a great understanding of contract details, deadlines, documentation, and negotiation etiquette. With the current sluggish economy, we were convinced about selling in a slow housing market. However, due to the outstanding teamwork between us and Susie, our home was under contract in 8 days. We are confident that the reason we were able to keep negotiations on track while with the relocation company was due to Susie’s dedication to our success. We really appreciate Susie’s calm reassurance and expert advice throughout the entire process. Susie is a realtor who makes it her job to help meet YOUR GOALS. Susie is the outstanding professional we were looking for and having her work with us made a potentially stressful situation a wonderful success! "Vickie Hart handled my sale in August, September, 2016. She acted with efficiency and precision in all aspects of the sale. I could not have wanted for more in terms of her performance as my selling broker." Eileen is a highly competent real estate professional who we used to sell our previous home and buy our new one. Things could not have worked out better. Her superb marketing skills produced dynamite video viewed numerous times on the web, conducted a well attended open house, and produced two offers alnd a contract within two weeks. Though we only had 5 weeks from contract signing until our agreed to close date, Eileen also guided us through making an offer on our new home and assisted us in getting our loan approved and everything completed and signed to permit a door-to-door move. Eileen Smith was always accessible early morning to late evening. She treated us like a member of the family. 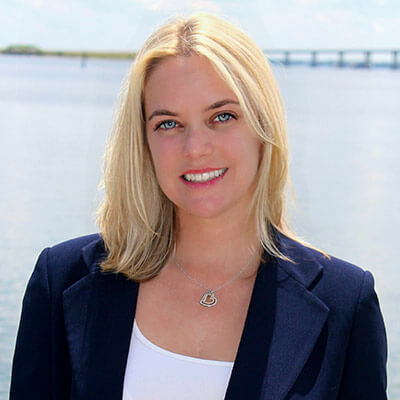 You cannot find a better real estate professional in Brevard County.